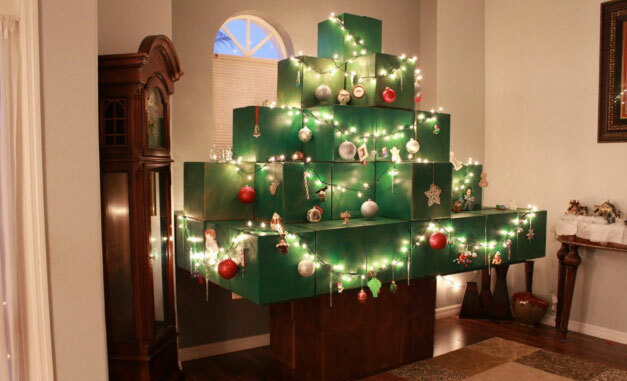 These are the best Minecraft gifts to get for this christmas. 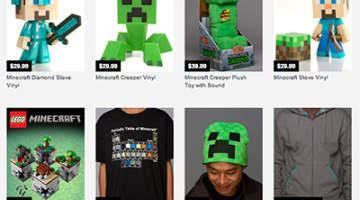 Christmas is just around the corner and these are the top gifts to get if you love Minecraft! Youth Digital’s mission is to teach kids real software coding and design skills by creating awesome projects with cutting-edge technology. In our most popular online course, kids will learn the fundamentals of Java programming by creating their own Minecraft Mod for the PC / Mac version of Minecraft. For every item, block or creature they want to add, kids will first design and then code their object in Java. At the end of the course, they will have their own completed Minecraft Mod that they created from scratch. 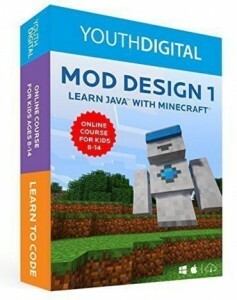 Mod Design 1 for Minecraft is a unique opportunity for young students to learn Java in an exciting way. They will not only come away with an impressive project to share with their friends, but also with a foundational knowledge of object-oriented programming. You can check it out on Amazon now. 2.) EnderToys – A plastic toy by Seus Corp.
Toys are articulated at the arms and head. All skins are applied using a water-resistant vinyl adhesive which is reinforced with a UV-resistant laminate for maximum longevity. Check it out on Amazon now. Now you have a way to safely store and display all your collectible Mini Figures! 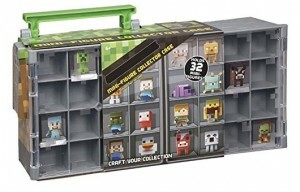 Featured in perfect cube shape, this Minecraft Collector Case is designed to hold 32 mini-figures (not included) so that you never have to be without your personal collection of characters. The case also doubles as a play set! Turn the display side over to reveal a Minecraft-inspired environment for which to play with your mini-figures. Close up the case and carry it by the handle – the world of Minecraft goes where you go! Shop on Amazon now. 4.) 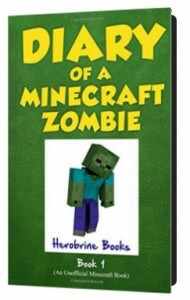 Diary of a Minecraft Zombie – Ever wonder what it would be like to be a Minecraft Zombie? The chapters are broken down into days and are short and easy to read. They’re told from Zombie’s point of view, who is middle school aged and introduces us to all of his friends (who are also Mobs like him). You’ll meet Skelly, Creepy, and Zombie’s whole family (even his little ankle biting brother). There are little black and white pictures scattered throughout, so it breaks up the story and makes it more entertaining for the reader. Zombie is a very likable character, not scary or frightening at all. 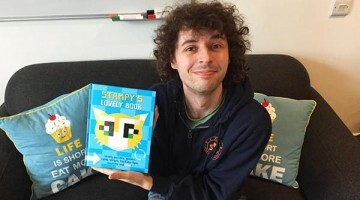 There is nothing gory (but some gross mentions of boogers and such). Zombie tells about his daily life as a Mob and about his human friend, Steve. Definitely worth reading, and it’s a great price, you can’t beat it. Available only on Amazon. 5.) 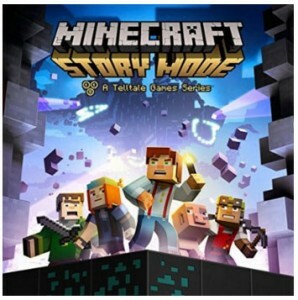 Minecraft: Story Mode – The Hottest Game of the Season! 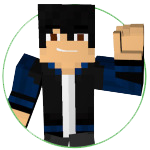 As Jesse, you’ll embark on a perilous adventure across the Over world, through the Nether, to the End, and beyond. You and your friends revere the legendary Order of the Stone: Warrior, Redstone Engineer, Griefer, and Architect; slayers of the Ender Dragon. While at EnderCon in hopes of meeting Gabriel the Warrior, you and your friends discover that something is wrong. something dreadful. Terror is unleashed, and you must set out on a quest to find The Order of the Stone if you are to save your world from oblivion. 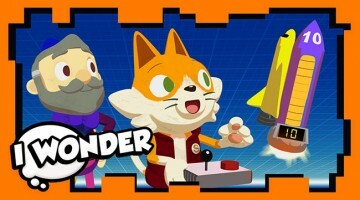 A five-part episodic series with the disc including episode one, and grants access to four more episodes as they become available to download (Internet connection required). Available for all platforms, choose yours today on Amazon.